Vale’s injury crisis was exacerbated as they went down 2-0 at home to East Stirlingshire. Chris Anderson already had to name himself among the substitutes for this one but it got even worse with Euan Saunderson pulling up in the warm-up, prompting a promotion to the starting line-up for Alex Imlah. As if that wasn’t bad enough, two players – Tommy Patterson and Steven Lynch – were forced off inside the first half hour meaning Anderson was the only remaining option left on the bench. The team stood up to the adversity well and stood firm against a dominant East Stirling side, until conceding to Paul Sludden after 64 minutes. Kevin Kelbie struck in the last minute to make it 2-0 and give Shire the win they deserved, although not many would have begrudged Vale a point for their efforts. After a scrappy opening in which Patterson went closest with a free kick, the same player had to be stretchered off after 15 minutes. It was an innocuous looking 50-50 challenge but Patterson came off worst and appeared to jar his knee. Signed just this week on a loan deal from Livingston, Liall Smith came on to make his debut. After the change East Stirling took over for a spell and managed to get forward on their right hand side which Patterson, who often turns out at full back, had vacated. Right back Jamie McCormack has lightning speed and used that to get forward at every opportunity, forcing Vale on the defensive. 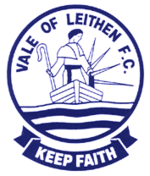 From a corner, Kelbie had a header cleared off the line by Ainslie Hunter and the same player hit an effort from 25 yards which was held by Ross Gilpin. Drew Ramsay then carved open the Vale defence but Andy Rodgers miscued his shot horribly. The home side had a chance of their own when a quick switch of play from Smith started a move which ended with Jordan Finnie wriggling free on the right side of the box. It wasn’t clear whether he tried to score or pick out a man but the ball rolled agonisingly across the goal and out. Other than that the play was almost entirely in Vale’s defensive half but they defended stoically and continually managed to crowd out Shire’s attackers or get a block in. On one such occasion Rodgers looked certain to score only to be denied by a Jonny Scott-Mercer block. The last chance of the half fell to Kelbie but Gilpin was equal to his header from McCormack’s cross. Play raged from end to end at the start of the second half and Vale had the first opportunity. Shaun Stevens went down the left and managed to work the ball to Finnie but a defender got in the way of his effort. Scott-Mercer prevented another goal when Rodgers beat two men in the box before nudging it past Gilpn, but the right back was on the line to clear. The ball was finally in the net after 19 minutes of the second half and Shire’s lively front three were all involved. Rodgers got free on the right and found Kelbie in the box. The big forward calmly rolled the ball into the path of Sludden who tucked it under Gilpin. Vale were denied what looked like a penalty when Jordan Tapping climbed on Craig McBride in the box and flattened him to the ground. You have to imagine that a foul would have been awarded had it happened outside the box and the Vale bench were incensed. Anderson brought himself on in place of Kerr Allan for the final 15 minutes and Vale began to get forward a bit more. However, Shire looked to kill the tie on the break and Connor Greene thundered a header into the side netting. It was a counter attack which brought the decisive second in the last minute when a Vale free kick into the box was cleared. Rodgers won the ball in the middle of the park before surging forward and slipping a pass to Kelbie who had his initial shot saved by Gilpin but stuck in the rebound. Vale: Gilpin, Scott-Mercer, Imlah, Lynch (Lewis 26), McBride, Hunter, Stewart, Allan (Anderson 74), S.Stevens, Finnie, Patterson (Smith 15). Vale are delighted to announce the loan signing of Liall Smith from Livingston. Liall is an attacking midfielder and has featured for Livingston’s development squad but will now join up with Chris Anderson’s squad on a temporary deal. Anderson moved quickly to snap up a player who he describes as an “exciting talent” and he goes into the squad for tomorrow’s match at home to East Stirlingshire. After a difficult start to the season Chris Anderson knows things must be better from Vale, however he is confident that will happen when the squad is at full strength. Defeats in the last week to Gretna 2008 and Edusport Academy leave the Vale with only one win from five league matches and they are second bottom in the table, above only managerless Hawick Royal Albert. However, the defeats have come in three tough away matches and at home to last season’s champions East Kilbride. To make things harder many of these matches have been played with a depleted squad, with as many as nine players missing for some of them. Anderson admits that the team have not met his expectations so far but is adamant that the lack of players has been a mitigating factor, and he believes that results will improve when he has his full squad available to him. He said: “It’s no secret we have had a difficult start to the season and not played anywhere near the level that I expect us to. “You can put that down to any number of things however it’s clear that when we have a full quota of player in the match day squad we perform better. One man in particular who will make a welcome return is club captain James Elliot. The centre half is an influential member of Anderson’s team and has had no luck with injuries over the last year. “I would like to say a special mention to our returning captain James Elliot. “Anyone who has spent time out the game can relate to how frustrating it can be and after nine long months it’s great to see our captain smiling and ready to play”, added the manager. Vale midfielder Jon McInally has been made available for transfer. Jon is a midfield player with Lowland League experience having played for Hawick Royal Albert before joining Vale. Any enquiries should be made to club Secretary Rob Wilson (07751580665). Two goals from the penalty spot have helped summer signing Jordan Finnie settle in at the Vale, although his new team-mates have also had their part to play. The striker made the move from Civil Service Strollers in the summer and after finding the net from the spot in the first match of pre-season against Peebles Rovers, he has accepted the opportunity twice more in competitive matches. Adapting to life at a new club can be fraught with difficulty as a player gets to grip with new surroundings and trying to gel with different personnel. It can be doubly tough for a striker as they are judged on goals and so are often keen to get off the mark quickly. For that reason Finnie is glad that he was able to do quickly at his new club. Speaking ahead of tommorow’s trip to Annan to face Edusport Academy, he said: “I think for any striker the most challenging thing is actually getting that first goal, especially at a new club, so the penalties have definitely helped. “It’s always good to score a goal whether it be a penalty or not. 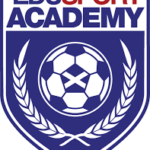 Attentions now turn to the league’s new boys in Edusport Academy. They will be a bit of an unknown quality to the Vale squad having never faced them before, but have had a solid start since earning promotion from the South of Scotland League. Last weekends comfortable 4-0 win over Hawick Royal Albert and an opening day point shared with Gala Fairydean Rovers has them on four points from four games. Finnie is ready for a hard encounter, but not for the travelling involved. “I’m sure it will be a tough game, every game at this level is tough. I’m just not looking forward to the two hour car journey”, he said.